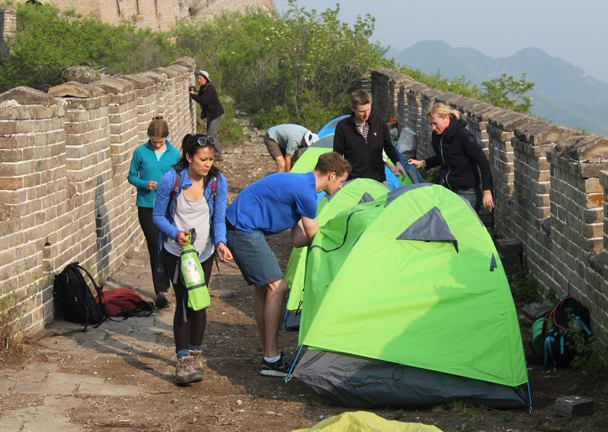 In Brief: Photos from a camping trip at the Great Wall Spur. Sharing a few stories at the campsite. 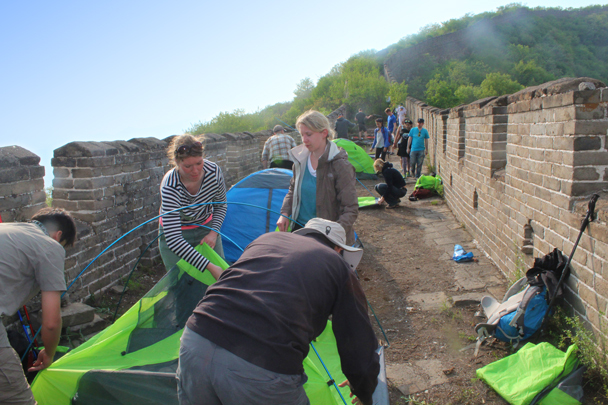 During the May holiday weekend we headed out to Huairou District for a camping trip on the Great Wall. After a wee bit of messing about to start – traffic jams, and unexpected trail closures - we were on our way up to the campsite. 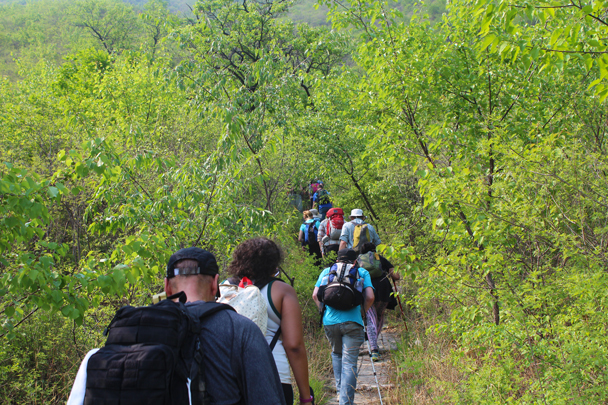 It was hot and humid, and the trail up to the wall was rather steep. 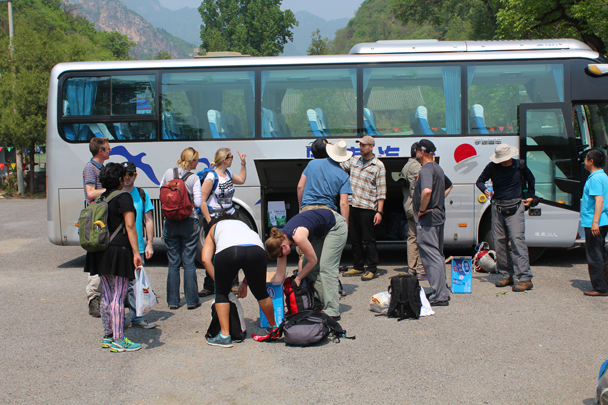 We took our time, and arrived at the campsite after about an hour of leisurely walking. There was still plenty of time to set up camp before dinner: a relaxing affair accompanied by a few bottles of red wine. 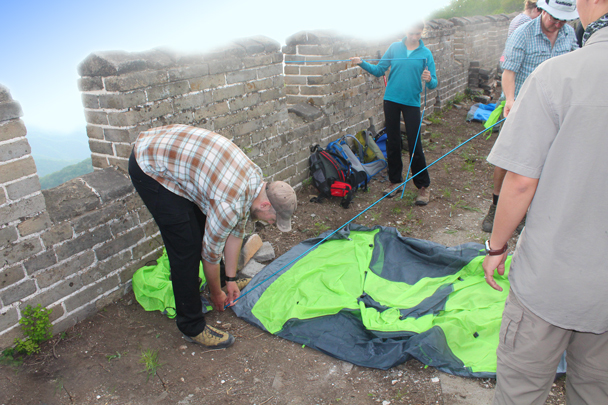 We woke up early the next day, and made a plan for the hike – we would do the toughest option, the Chinese Knot Great Wall, peaking at a lookout point near 1,000m above sea level. 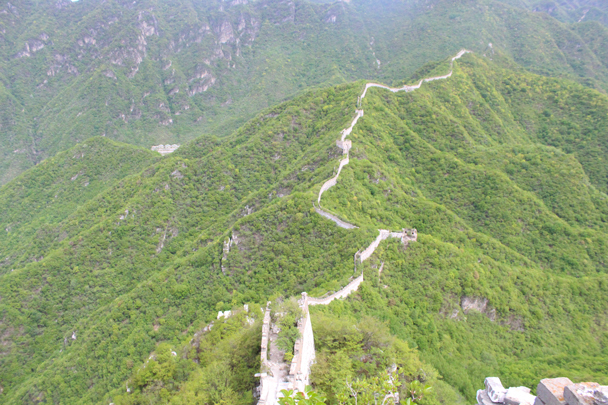 To get there we climbed to the highest point of the Great Wall Spur, and then headed right down into a valley before making the challenging climb up to the Chinese Knot. 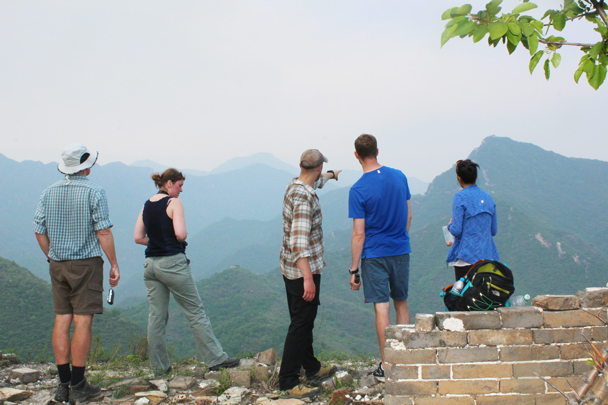 We took a break up top, enjoying 360° views of the surrounding countryside, with long lines of Great Wall on three sides. 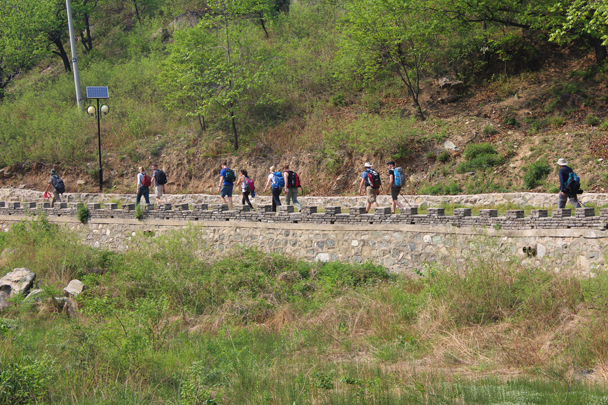 A steep trail took us down to the village at Jiankou, where we enjoyed a great meal before heading back to Beijing. Everybody stocking up on water and preparing to start the hike up to the campsite. 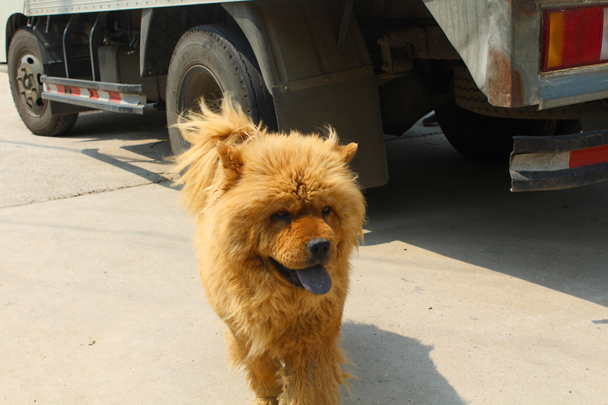 A friendly village dog followed us for a while. 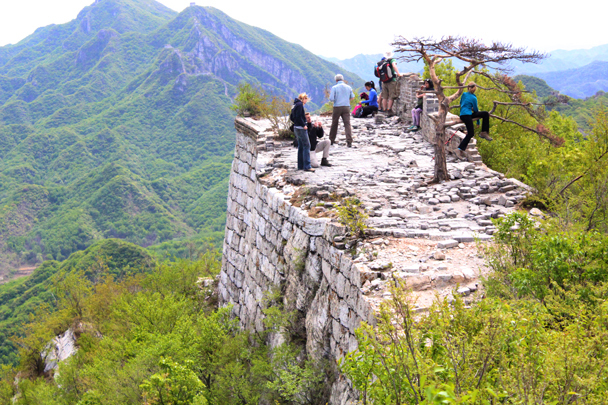 Getting closer to the trail up to the Great Wall. 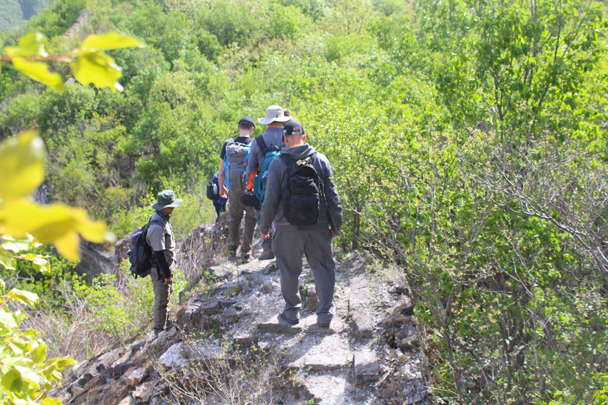 We hiked up to the Great Wall on a forest trail, in some very hot weather. 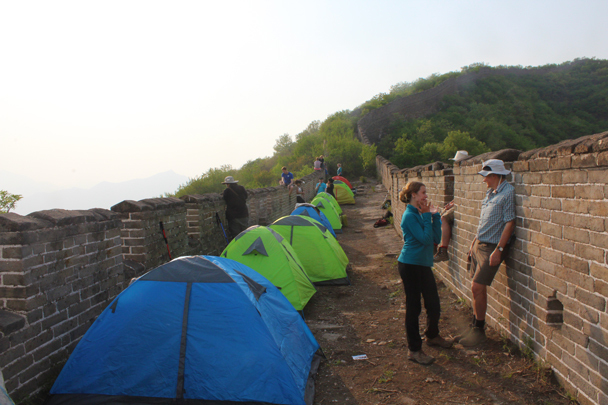 After long climb we finally got to see the wall and our campsite. Hiking guide Simon points out the destination for the next day's hike. Time to set up the tents. We helped each other set up camp. A few finishing touches and we were almost ready for the night. 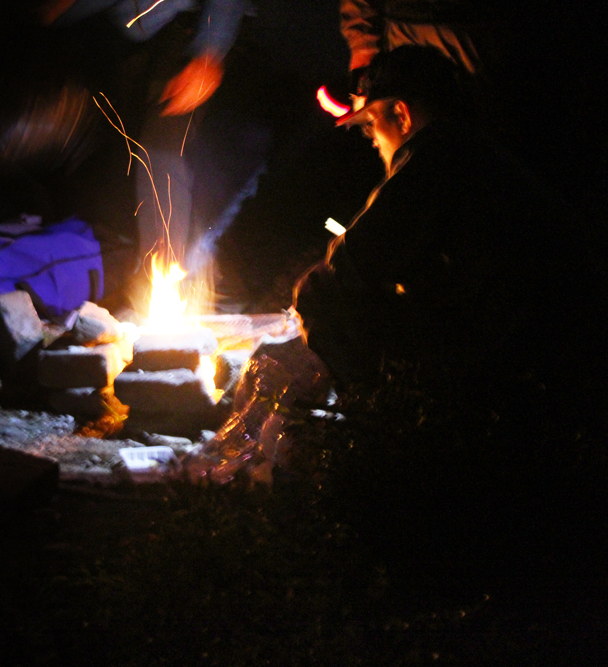 A camp fire cooked meal finished off the evening. An early start the next day saw us heading for the Chinese Knot. Looking at the route before us was pretty inspiring. 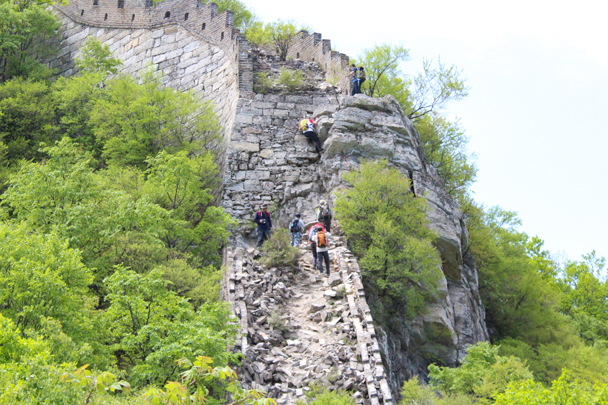 Another party tackling a very precarious climb on the Jiankou section of Great Wall. 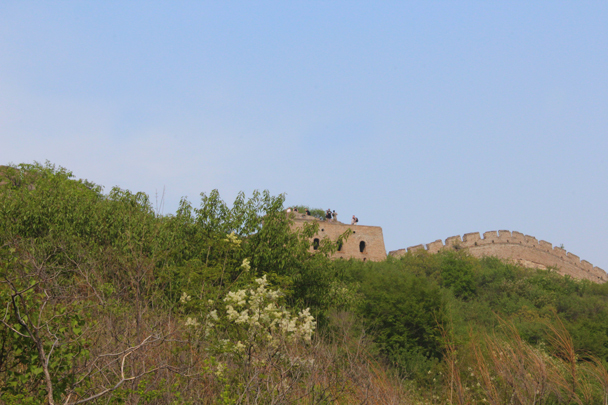 The lookout point at the “Chinese Knot”, where three lines of wall meet up. In Brief: The frozen waterfalls and pools at Immortal Valley make it a great winter hike, and we picked it for our last hike of 2017—see 25 photos.